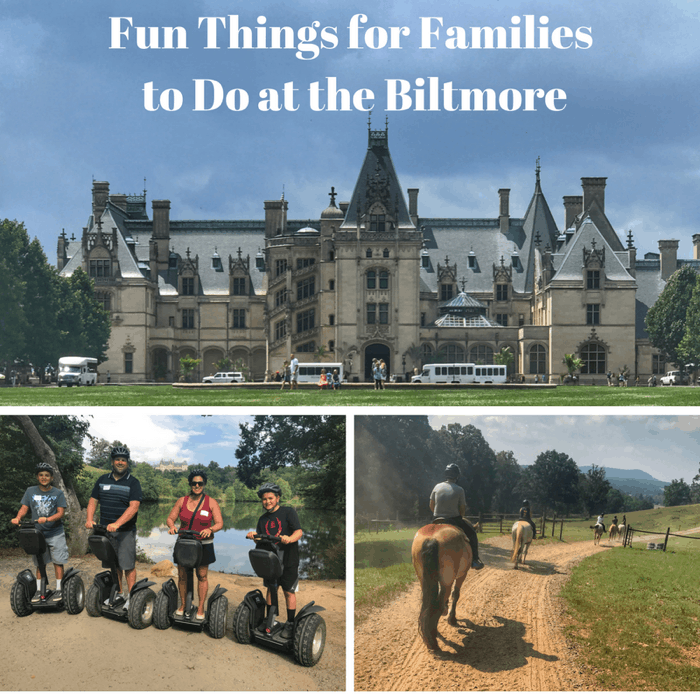 I’ve traditionally thought of the Biltmore as a destination for a couples or a girlfriend getaway, but we discovered that there are lots of fun things for families to experience there too! 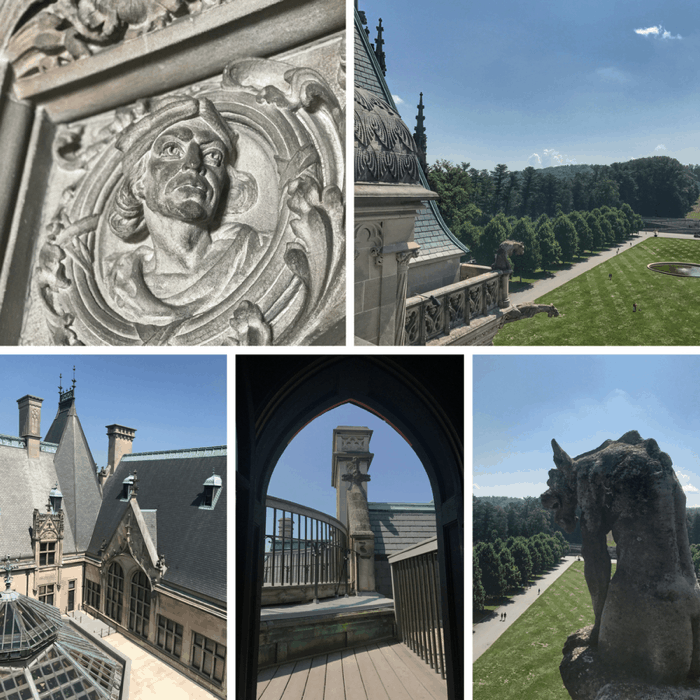 As the largest privately owned residence in the country, a tour of the Biltmore House is a MUST during your visit. With 250 rooms, including an indoor pool, 65 fireplaces, 43 bathrooms, 35 bedrooms, bowling alley, and a library with over 10,000 volumes, this late 19th century home is still a marvel by modern day standards surrounded by breathtaking mountain views. I would highly recommend paying the additional fee for the audio guide, otherwise, you miss so many important details and stories about the people who once dwelled in the Estate that are critical to appreciating what you are viewing in each room. *Kids will enjoy the audio guide created just for them narrated by the Vanderbilts’ Saint Bernard named Cedric. Depending on your pace, the self-guided tour takes between 1.5 to 2 hours. If you have additional questions there are guides located throughout the home that are a great resource. 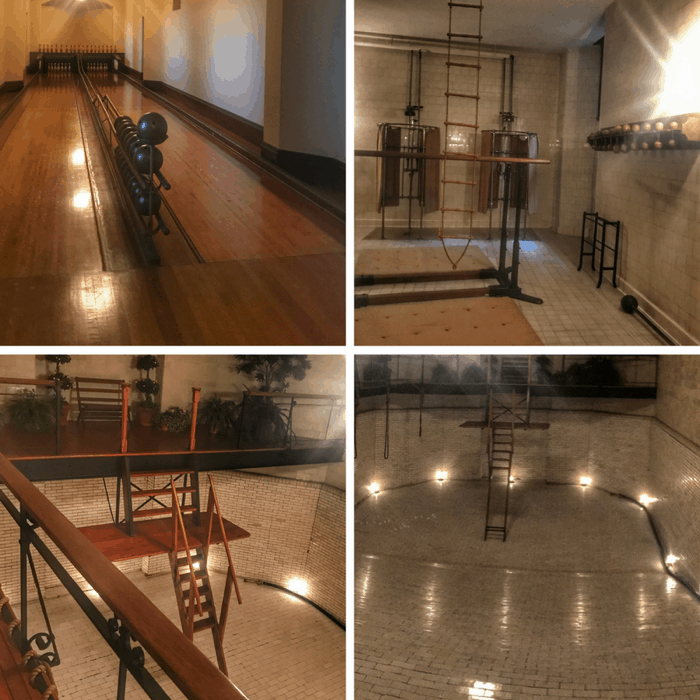 A few of my boys’ favorite areas during the tour were the indoor swimming pool and the fitness area. I was in awe of the detail that we encountered in each room that was way ahead of its time. I kept trying to wrap my mind around what the day to day life would be like for everyone who lived there, even the servants who lived there were paid higher than the going wage. 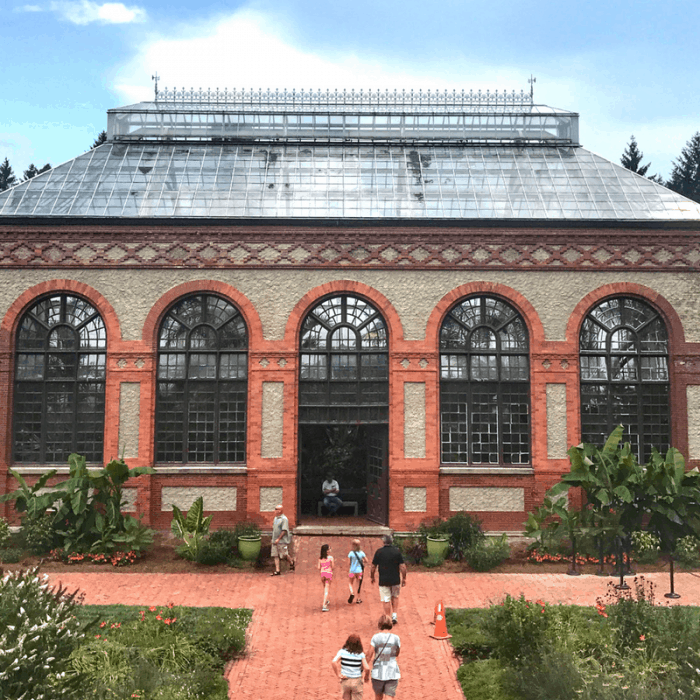 If you want to discover another layer of the history of the Biltmore, I would highly suggest taking an additional guided specialty tour if you have older kids. During our visit, we went on the Rooftop Tour which gave us access to areas not open to the public. We were able to see the grounds from a unique perspective and learn more about the architecture during the 60-minute tour. We even got to see the roof tiles from inside the attic! 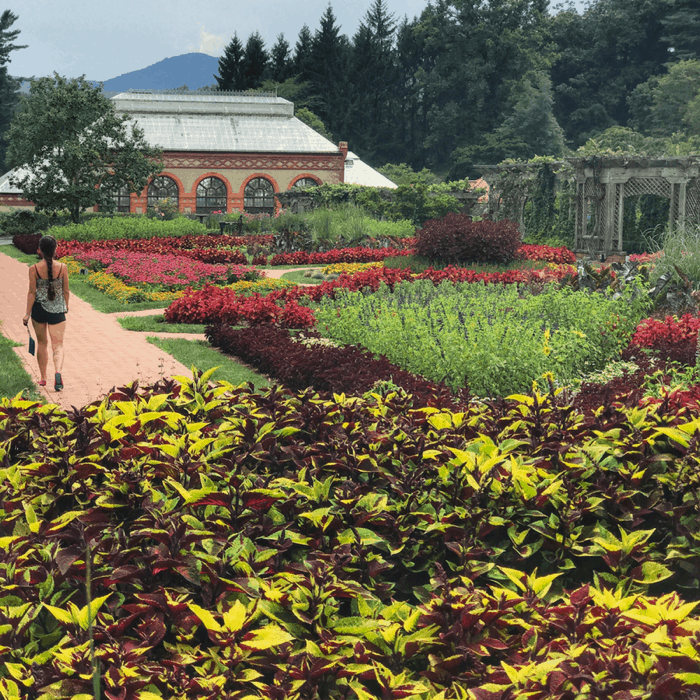 A photographer’s dream with both formal and informal themed gardens, the Gardens and the Grounds at the Biltmore Estate are an incredible work of art and design using natural elements. With 2.5 miles of paths in the landscaped garden and 20+ miles of hiking trails across the estate, there is visual eye candy everywhere. 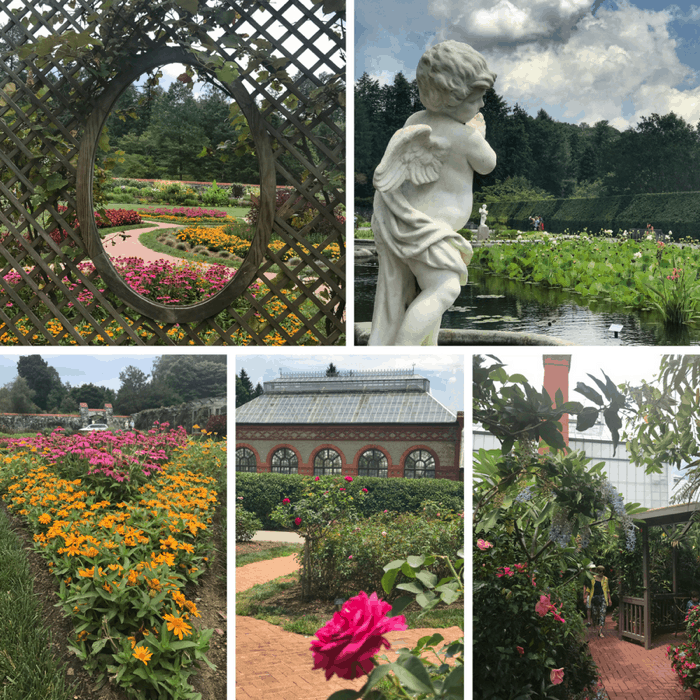 There is so much beauty to explore including more than 250 varieties of roses in the Rose Garden, 500 different varieties of ornamental shrubs, trees, and other plants that were popular in the 1890’s in the Shrub Garden, and a 15-acre Azalea Garden to name a few. Make sure that you stop inside the Conservatory that was used to provide flowers and plants since the Vanderbilts era and find pieces to add to your garden at the Gardener’s Place shop located below the Conservatory. Depending on the age and interests of your family, you might also consider splitting up so that everyone can spend more time doing what they enjoy. For example, my husband offered to take the boys back to the pool so that I could take more time exploring the gardens and taking pictures which was a win for everyone. If you are driving to the Gardens, turn on your hazard lights when you see the parking attendant and they will allow you to continue to drive on the road to the garden. 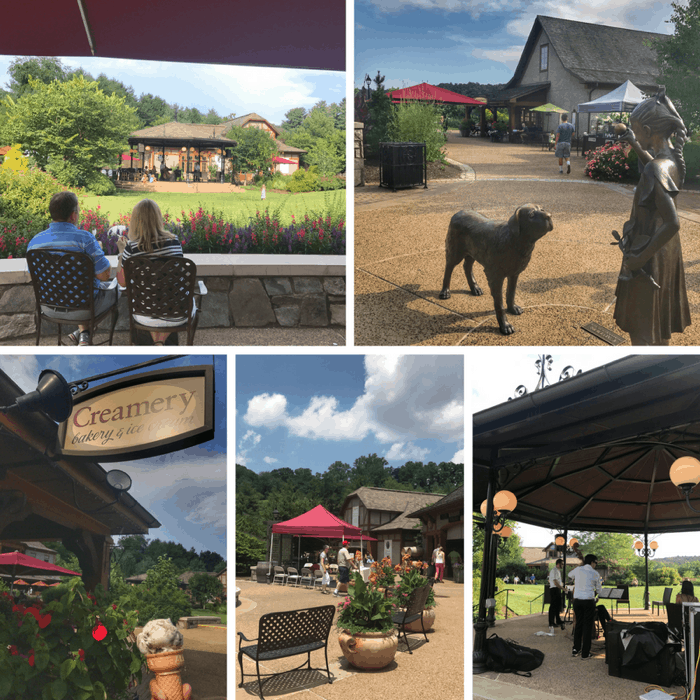 After you tour the Biltmore House, Antler Hill Village is the perfect spot to relax and enjoy the rest of your day. There are plenty of wonderful restaurants to enjoy, shops, and special live music events too. Kids will especially enjoy the creamery, playground, and petting zoo. 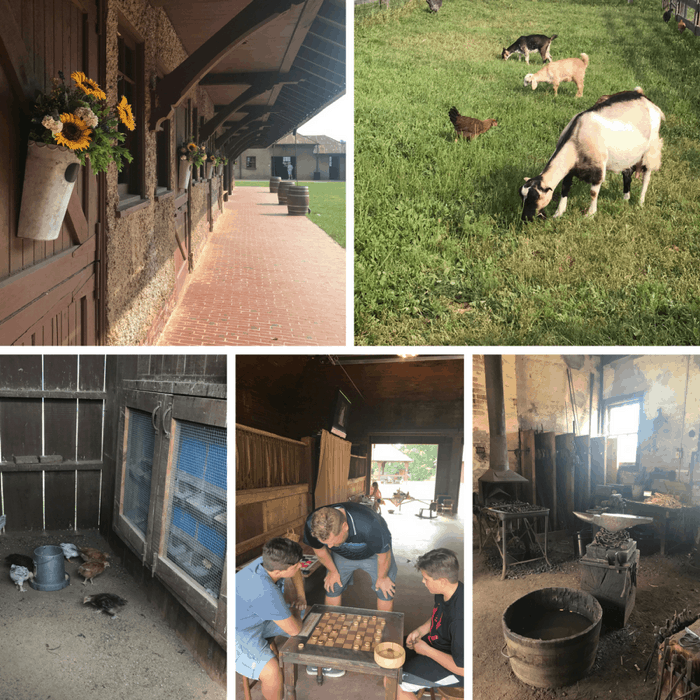 Make sure that you allow time to explore the Antler Hill Barn where you can learn more about what farm life was like during the Vanderbilt’s time with demos, exhibits, and hands-on learning and play. 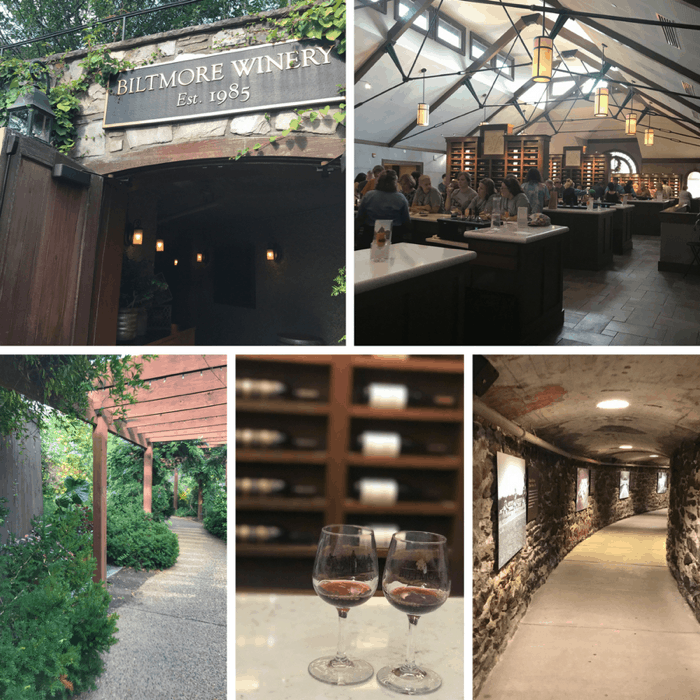 No visit to Antler Hill Village is complete without a stop at the Biltmore Winery. Parents deserve a little treat during a weekend away too, right? 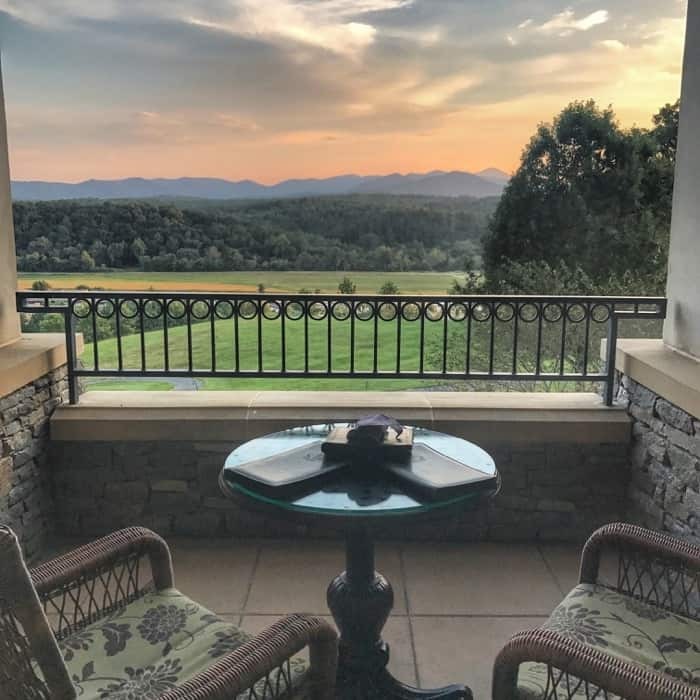 Included with a visit to the Biltmore Estate or an overnight stay, sample several wines in the tasting room and discover which ones you want to take home with you. 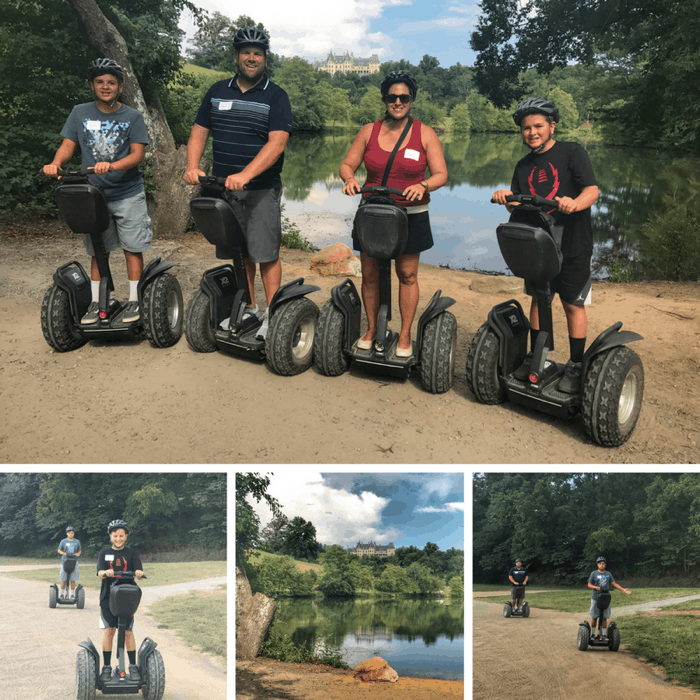 If you are traveling with older kids, I would highly recommend adding a Segway Tour to your itinerary. The Segway tour was definitely my boys’ favorite activity of the weekend. Our guide did a fantastic job of providing a safe and FUN experience while pointing out history along the way. Our Segway tour of choice was the Basic Lagoon Segway tour that starts with instruction for how to use the Segway and then travels on scenic paved pathways. 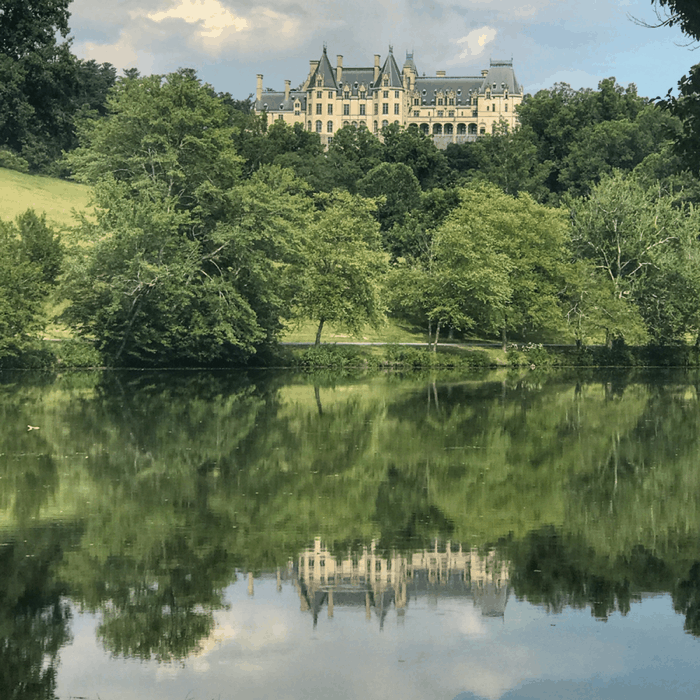 During our tour, we made a stop in front of a small lake where you can see the reflection of the Biltmore House in the water on a clear day. After all of our tours that day, we knew to look for additional details on the property. The brick bridges on the Estate were designed by the architect, and stone bridges designed by the landscaper. 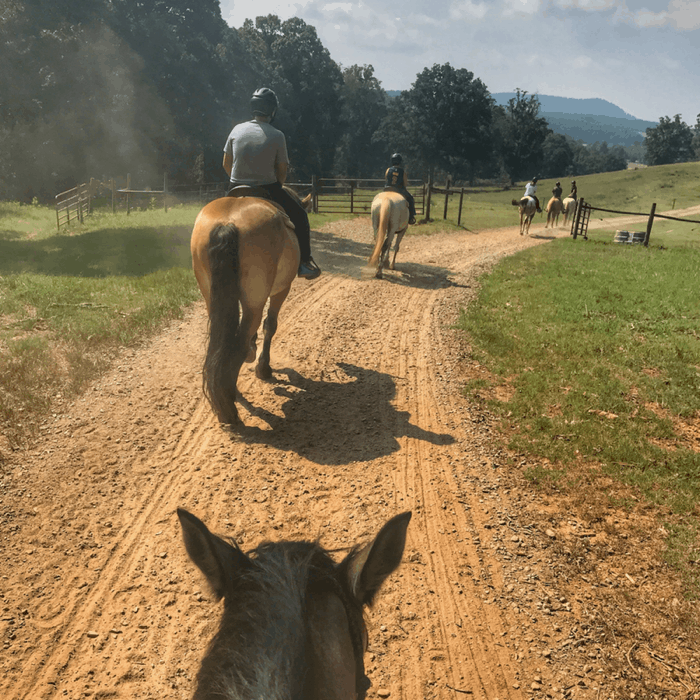 For another perspective of the Biltmore Home, enjoy a relaxing one-hour trail ride that takes you through the woods and meadows on the estate. Riders can stop and take a picture at a nearby hilltop where you can view the backside of the Biltmore House. The minimum age is 8 years old and this is a great introductory ride for someone new to horseback riding. You have more than one option for breakfast when you stay on property at the Biltmore. 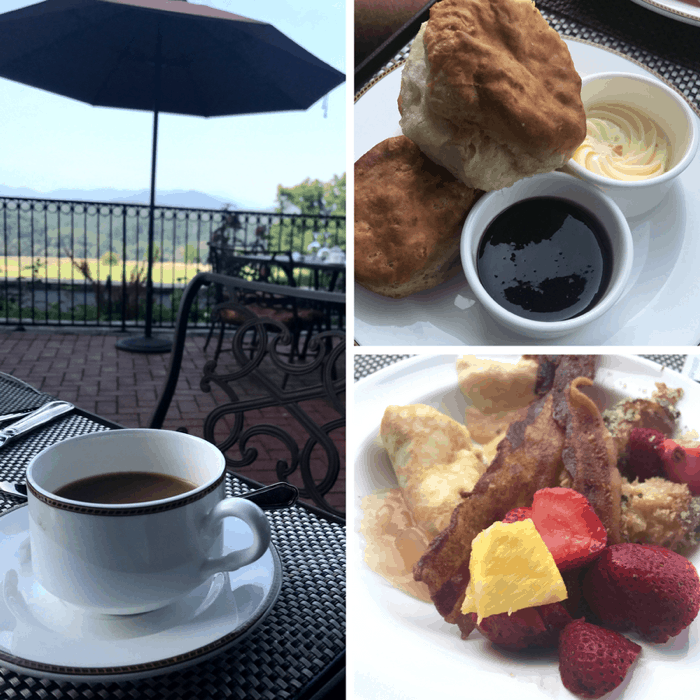 We decided to try both the Village Social in Village Hotel and the Chef’s Breakfast Buffet at the Inn on Biltmore Estate. At Village Social, I decided to go with the recommendation of our server and try the Crab and Pesto Egg Scramble with Jumbo Lump Crab, and Parmesan Heirloom Potatoes. That is definitely not a menu item that I would normally order, but the flavor combination worked well and it was really delicious… and who doesn’t love any excuse to enjoy crab for breakfast? The Dining Room at the Inn offers a full Chef’s Breakfast Buffet. Guests may also choose to order from the a la carte menu and table service with dining inside or outside. I couldn’t imagine staying inside with those gorgeous mountain views beckoning me on the patio. The buffet offers high-quality breakfast items that still appeal to a kid’s taste buds. If you prefer a quick breakfast or lunch option, stop by the Kitchen Cafe for an expresso or sandwich located on the main floor of the Village Hotel. 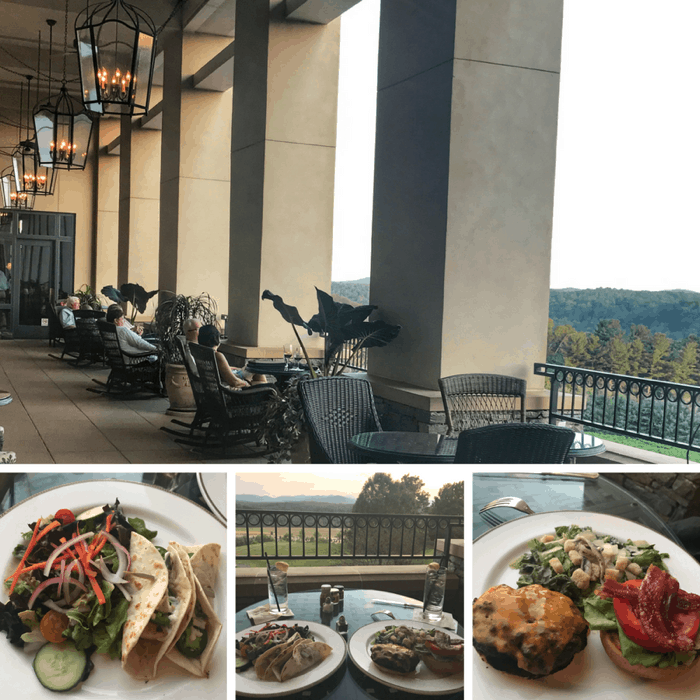 The Library Lounge at The Inn on Biltmore Estate provides gorgeous mountain views with a relaxed setting with tables located inside and outside. You can take the shuttle or make the short drive from the Village Hotel. If you are feeling extra ambitious you could walk but you will experience a pretty steep incline. My husband and I opted for a quiet dinner outside together with fish tacos made with Grilled Mahi Mahi, Pineapple Relish, Jalapeno, Lime Crema, and a USDA Prime Burger on a Ciabatta Roll with Maple Bacon while our boys watched a movie in our room. That view from a rocking chair was really hard to leave! 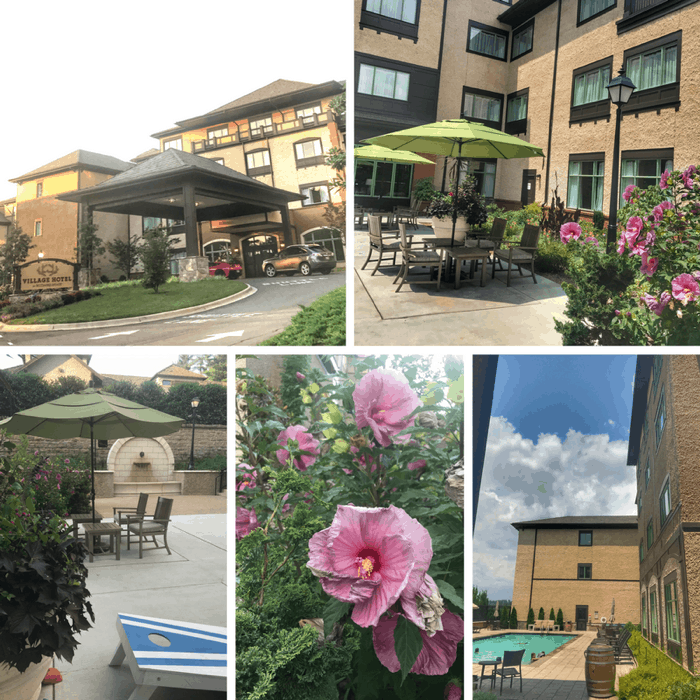 We stayed at the Village Hotel on Biltmore Estate. 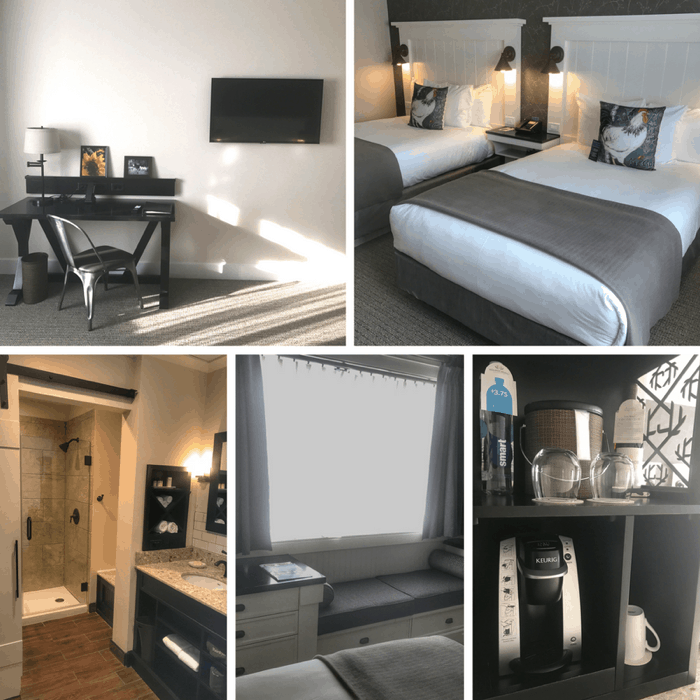 Our room had a mini fridge, Keurig coffee maker, window seat with storage, walk-in shower, two full sized beds, 42-inch plasma television, and an in-room safe. The sliding barn door for the shower and bathroom and separate vanity make it easier for more than one person to get ready at once. The hotel provides complimentary shuttles around the property and is located steps away from Antler Hill Village. Guests can also enjoy the outdoor pool and courtyard area with a friendly game (or competitive game if you are like my family) of bean bag toss or “corn hole” depending on where you are from. 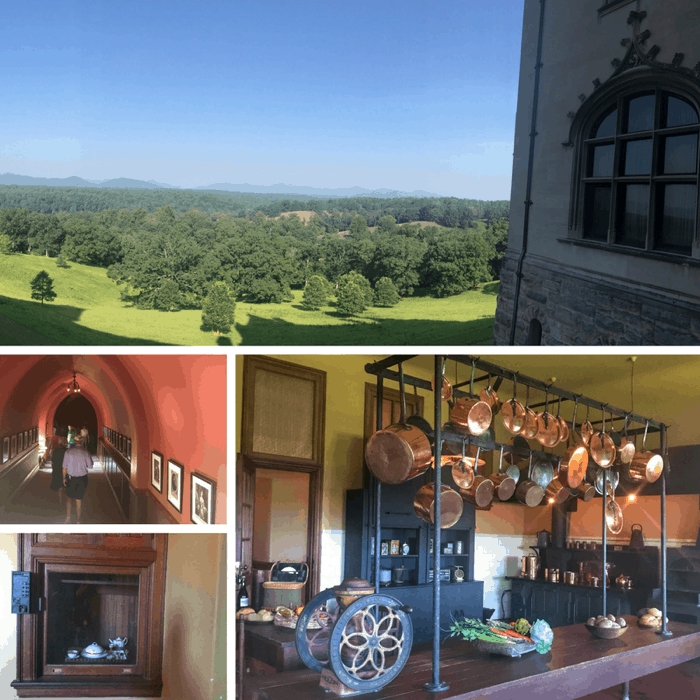 The Biltmore Estate gives you many reasons to return with their special events and exhibitions throughout the year. 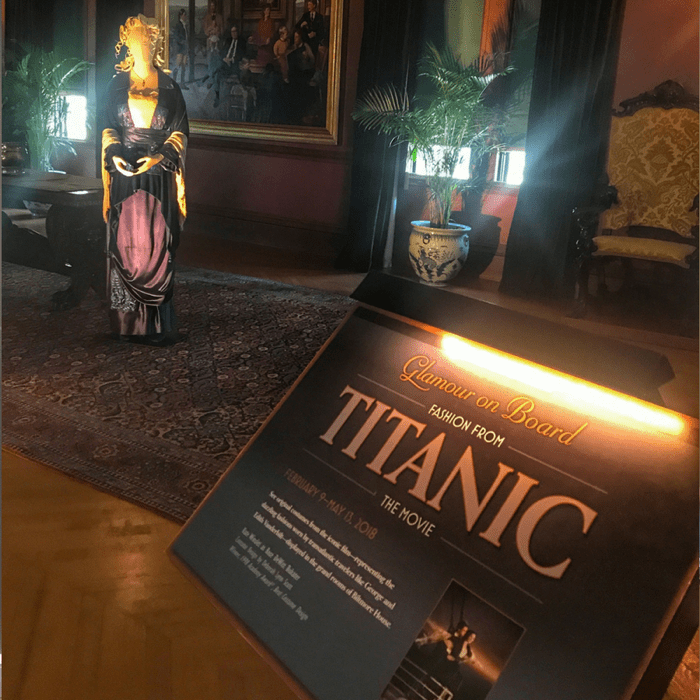 The image above is an example of the costumes that will be on display for the upcoming Glamour on Board: Fashion from Titanic the Movie exhibit set for Feb. 9 through May 13, 2018. 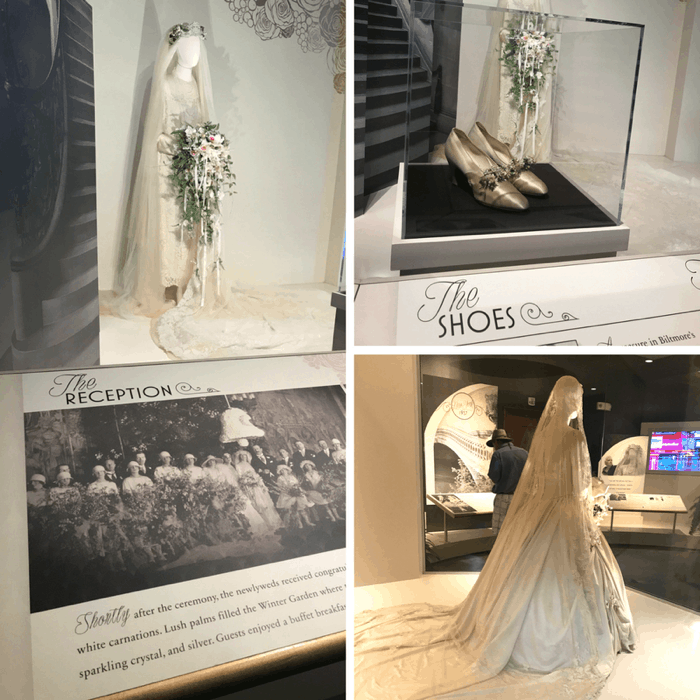 That amazing dress pictured above was worn by Kate Winslet when she played the character of Rose in the film. I’ve also heard from multiple people that Christmas time at the Biltmore is absolutely incredible, especially the candlelight tour. 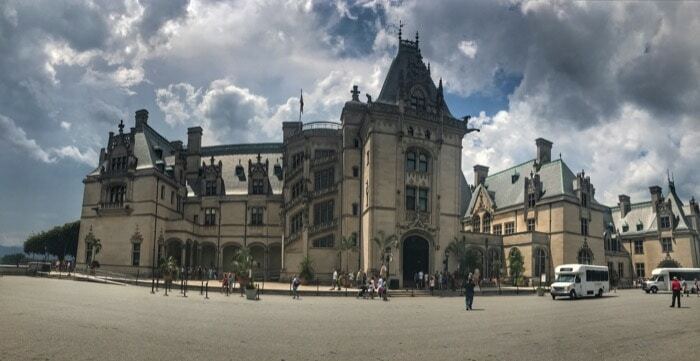 After visiting the Biltmore, I would say that the spirit of the people that you encounter at the Biltmore and their dedication to creating a legacy of excellence with southern charm. Have you ever received a hug from someone in hospitality before? 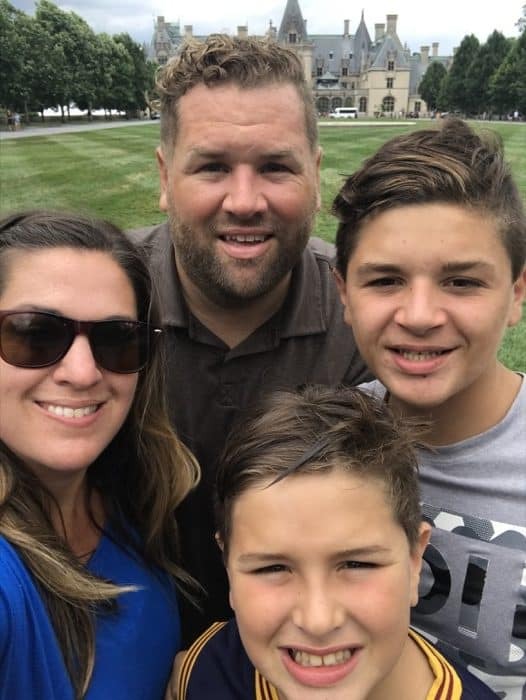 My husband and I did….not because Brenda, from the Village Inn, knew that I was writing about our visit (we didn’t tell her until way later in our conversation after our hugs), but because that’s just who she is. Treating everyone she encounters like a relative that you are excited to see. I was so impressed by all of the employees that I met throughout the property that were part of continuing the story in some capacity and offered the warmth of southern hospitality with their smiles and words. These are the type of people who make you feel included to become part of the Biltmore story vs. feeling like you are out of your element or don’t belong. I see why generations of families continue to return together and why their shared memories on the property hold such a special place in their heart. We enjoyed a wonderful weekend away and I’m so grateful that I got to see and experience why my mom loved her visit to the Biltmore so much. 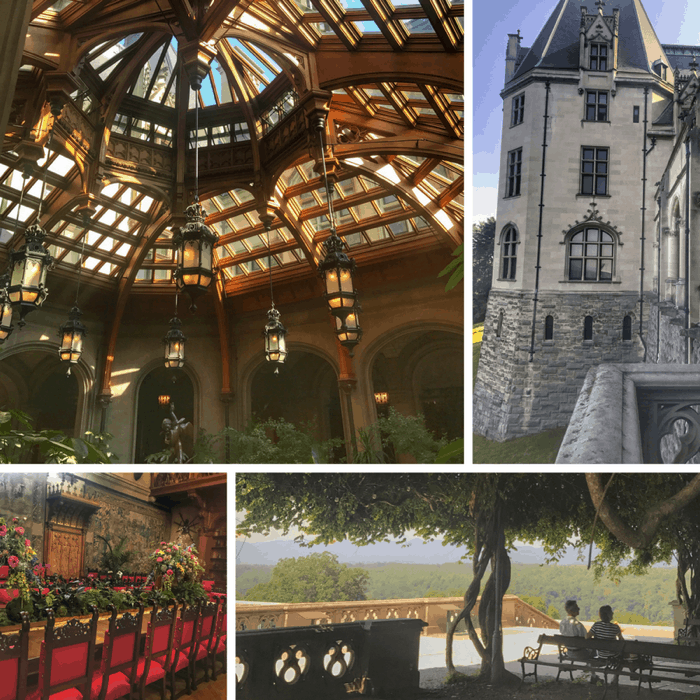 A visit to the Biltmore Estate is definitely a bucket list adventure to add to your list and experience! Thanks again to the Biltmore Estate for hosting our visit and KIA for providing our road trip vehicle. 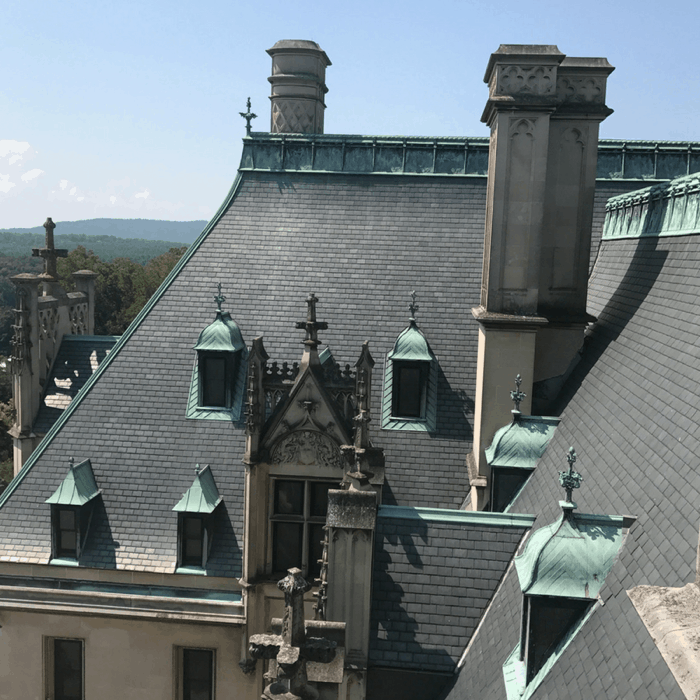 I’ve never heard of the Biltmore Estate, but now I want to visit! Looks gorgeous! Especially those photos of the gardens.